Generac's OHVI® engine incorporates full pressure lubrication with automotive style spin on oil filter for longer life engine. Integrated lifting eye for easy transport and security on the job site. Rated 5 out of 5 by Cody from Piece of mind I opted to buy a portable home back up generator opposed to a built in because of the versatility. It will do the job of a built in but I have the option to use it for other things as well as loaning to someone else if I haven’t lost power in the event of a hurricane or other natural disasters. Upon delivery I was impressed with the ease of set up and overall performance of the generator. I expected it to be very loud but was actually surprised that it was not unbearable. Overall very happy with the purchase and not as anxious with the upcoming hurricane season starting. Rated 5 out of 5 by HERK from The GP 17500 is a GREAT UNIT Decided to go with this unit instead if a whole house generator.This unit will supply the power we want plus it's portable. A lot cheaper that installing a whole house generator. Rated 5 out of 5 by Charles from Just what I needed Bought the 17.5 KW to run my whole house, including the well. My wife is dependent upon ventilators to help her breathe and I needed a generator big enough to run the well and AC units since we have several power outages a year due to hurricanes and storms. Rated 5 out of 5 by Rob from Great brand ! Good reputation ! We have had a lot of power outages in the past year. I had a small generator, but wouldn't handle everything, I would have to shut off things then turn on things. With the New bigger model I can run everything ! Easy to put together, easy to run ! So glad I made this purchase !!!! 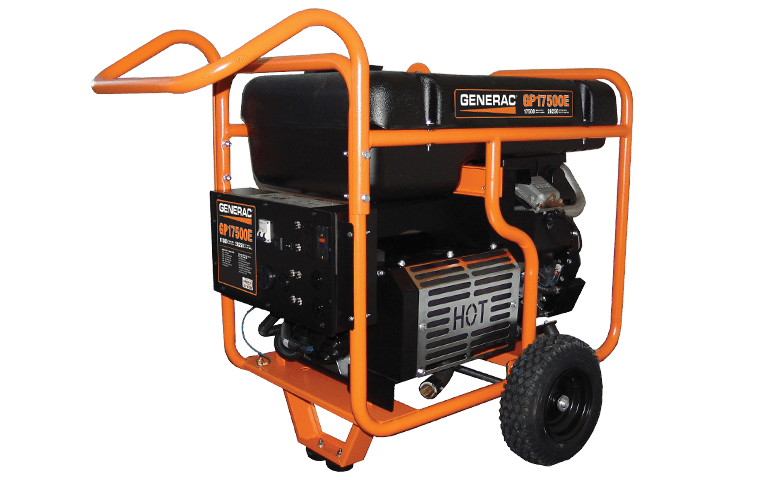 My small generator is a General, had great experience with it, so that is why I recommend General !!!! Rated 5 out of 5 by Mark601 from big & beautiful brute took about 6 weeks to deliver but it arrived this past Friday on a wooden pallet. the parts were nicely boxed separately and within an hour the wheels and handle were installed and oil filled. Pulled the choke and it started on the second try. i haven't connected to the house but my initial impression is if it runs as well as it's put together and shipped then i will be very happy with this purchase. Definitely pay the extra for drop gate shipping to your house but don't be intimidated by the weight; assembly is an easy one man job. I did buy 3rd party collapsible handles and a trickle charger but everything else is complete and fully accessible (oil dip stick, filter & drain line, air filter, battery, etc). even included extra spark plugs, air and oil filters leaving no excuse to not properly maintain. Rated 5 out of 5 by 10pointer from i love my 17500 in the north east in new hampshire we lose power a lot.i bought the generac 17500 and have used it about 7 times in the past 10 years. it ran flawlessly and the girls were very happy at home which made my life very peaceful for the week to 10 days we had it running.the only time it never started is when i neglected to keep on eye on it's battery,if it just sits around for a year or two the battery will lose it's starting power when you need it.ever so often put a charger on it so it's alive when you need it. GP17500E is rated 4.7 out of 5 by 110.